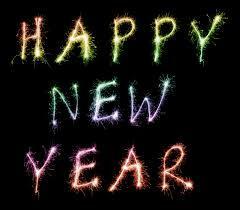 Tuesday, Jan. 12 marks Bruce Rauner's first anniversary holding the title "Illinois Governor." 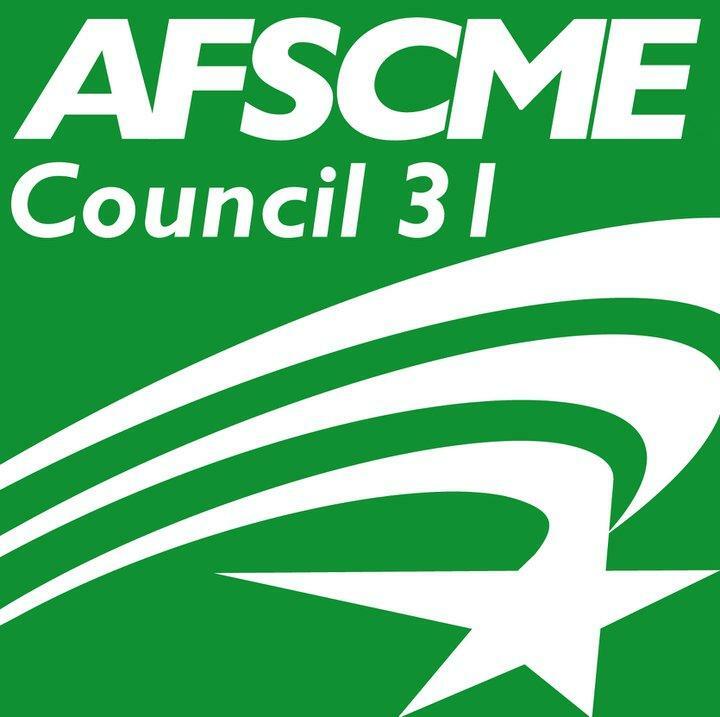 More than 30-thousand state employees are members of AFSCME, Illinois' largest public employee union. Today, the union says Governor Bruce Rauner has walked away from contract talks. It's a week into the New Year, and gyms across the country are packed with people who've vowed to get in shape. Our Statehouse Bureau Chief Amanda Vinicky had resolved to be one of them, but admits that already, she's fallen short. Maybe Illinois' leaders will have better luck. Vinicky asked around for their civic-minded resolutions. No matter your political persuasion, given the stalemate that's gripping the state, we can all agree that Illinois could use some self-improvements. A total of 23 Illinois counties are under state disaster status due to flooding. Gov. Bruce Rauner added 11 to that list Tuesday. A month ahead of the the Iowa caucuses, presidential contenders can officially file to run in neighboring Illinois. Five Republicans got their petitions in early Monday, with at least 3,000 signatures each. The Illinois Republican Party's attorney John Fogarty says the popular vote for president is known here as the "beauty contest." That's because who Illinois GOP primary voters pick as delegates -- who are listed on the ballot as supporters of a particular candidate -- is where the race is really won. Illinois has more individual units of government than any other state. 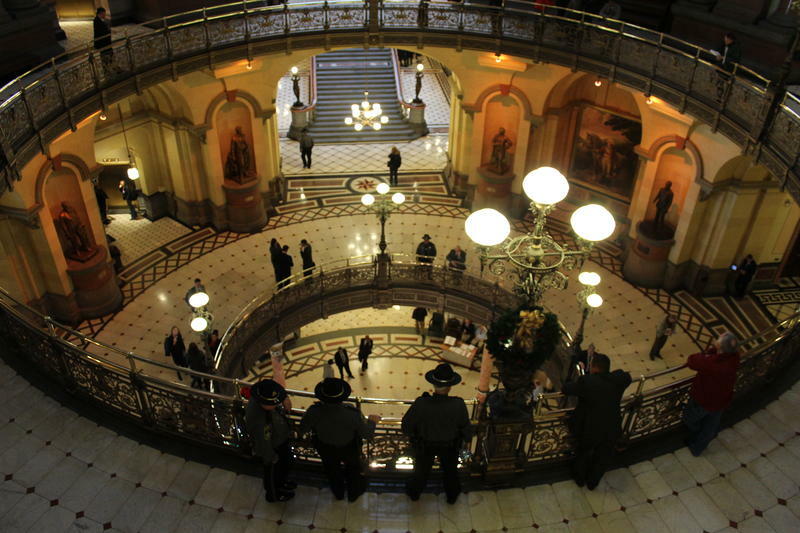 A report approved Thursday by a gubernatorial task force says that ought to change. Eliminating the requirement that governments print public notices in newspapers, allowing citizens to use referendum to dissolve units of local government, and repealing the prevailing wage (which stipulates what construction workers get paid for government projects): These are the recommendations that'll be included in the report. Gov. Bruce Rauner and the legislative leaders went half a year without all getting together, but Thursday they met for the third time in as many weeks ... most of them anyway. A major player was missing. The private meeting in the governor's office lasted an hour and 40 minutes. Senate GOP Leader Christine Radogno described it as a "good" meeting. The finishing touches are going on a plan to streamline local government costs. One of Gov. 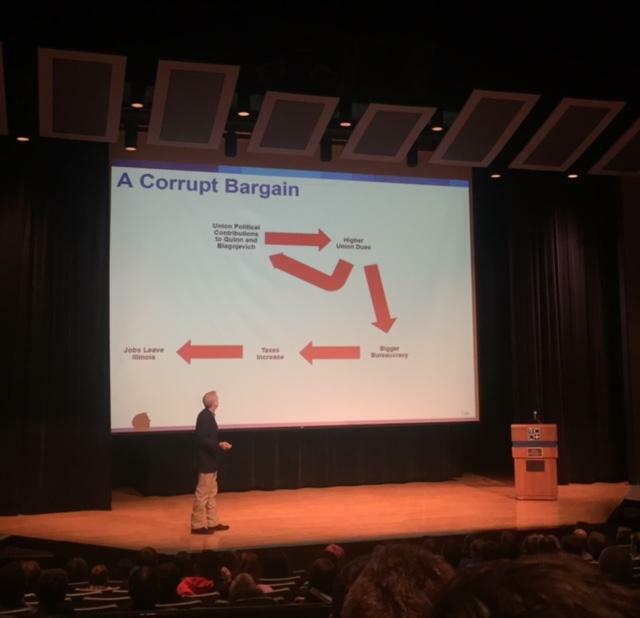 Bruce Rauner's controversial ideas, is to give local governments the option to discontinue collective bargaining. That's something state law requires now. 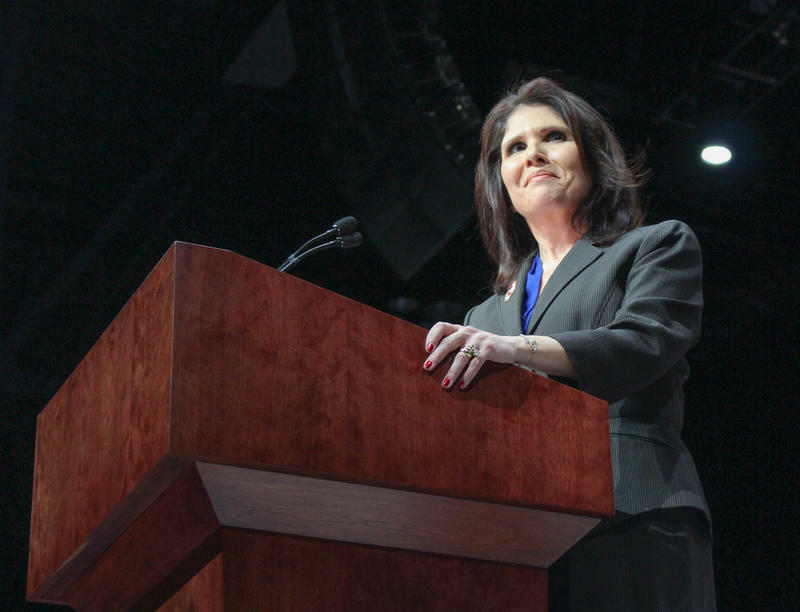 The task force chaired by Rauner's lieutenant governor, Evelyn Sanguinetti has embraced the idea. Even with all of its fiscal troubles Illinois will have to put nearly $8 billion into its retirement systems next year -- that's a quarter of the state's expected revenue. Legislative leaders and the governor may finally be poised to begin talking about how they may be able to reduce costs. A year ago, Illinois' income tax rate fell by 25-percent. The top Democrat in the Illinois House is suggesting it go back up. Illinois Republican Gov. Bruce Rauner, is denouncing recent anti-Muslim statements from his party's front-runner for president, but he's sticking to his position on Syrian refugees, and he's even taking it a step further. Rauner described Donald Trump's call for a ban on Muslims entering the U.S. as "an extreme action." "What he's proposing is just fundamentally counter to American values," Rauner said Tuesday in response to reporters' questions. "I strongly, strongly disagree with candidate Trump." The Illinois Lottery will resume paying out big prizes, thanks to a partial budget just signed into law. But that won't be enough to end a class-action lawsuit. The jackpot's been out of reach, even for Lottery players lucky enough to win $600 or more. 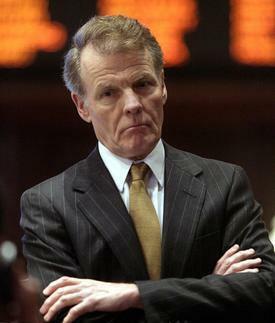 Illinois suspended paying larger prizes; without a budget, it didn't have the legal authority. Money can now be released to local governments and community organizations that have been waiting for state funding since July. The Senate was in Springfield briefly Monday to approve the funding; within hours the governor had signed the plan into law. An ideological, political feud between the governor and the Democrats who control Illinois' legislature has left the state without a budget. The Players: No Joke - Business, Labor And Rauner Have Reached A Deal. Here's How. Illinois' unemployment insurance program will see some changes next year, the result of something that's rare in Springfield these days as a budget stalemate persists: hard-fought negotiations giving way to a compromise. Even with Illinois' ongoing budget stalemate, it wasn't until a coalition of good government groups called for a meeting between Gov. Bruce Rauner and all four legislative leaders that they agreed to get together. 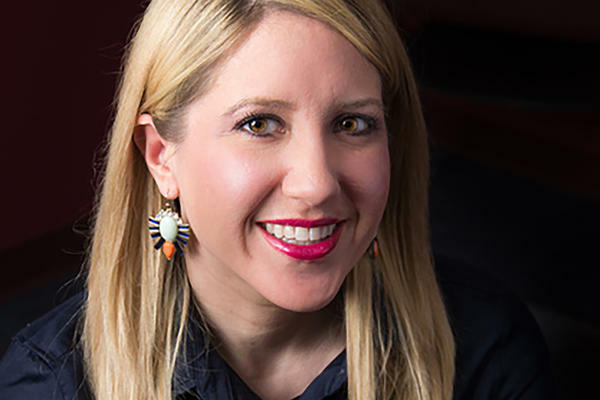 Susan Garrett chairs one of those groups, the Illinois Campaign for Political Reform. She says she's pleased with the result of Tuesday's summit. Illinois Gov. 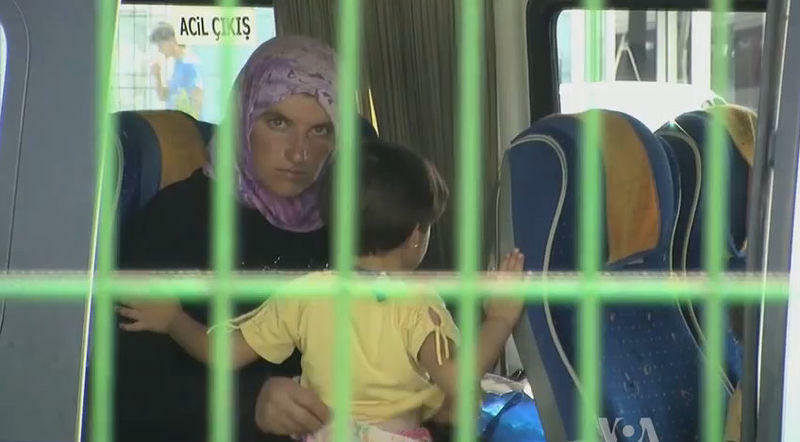 Bruce Rauner is rebuffing a bid by the White House to assuage concerns over Syrian refugees. Rauner's one of some 30 governors nationwide who've said no to taking in people fleeing war-ravaged Syria. Rauner, a Republican, cited security concerns following the terror attacks in Paris. "What matters is a coordinated, cooperative, highly communicative effort at a national scale to protect the people of America against terrorists," he said in November. A task force created by Illinois Gov. Bruce Rauner is trying to figure out how to reduce the number of local governments in the state. That group Thursday voted to recommend restrictions on organized labor. 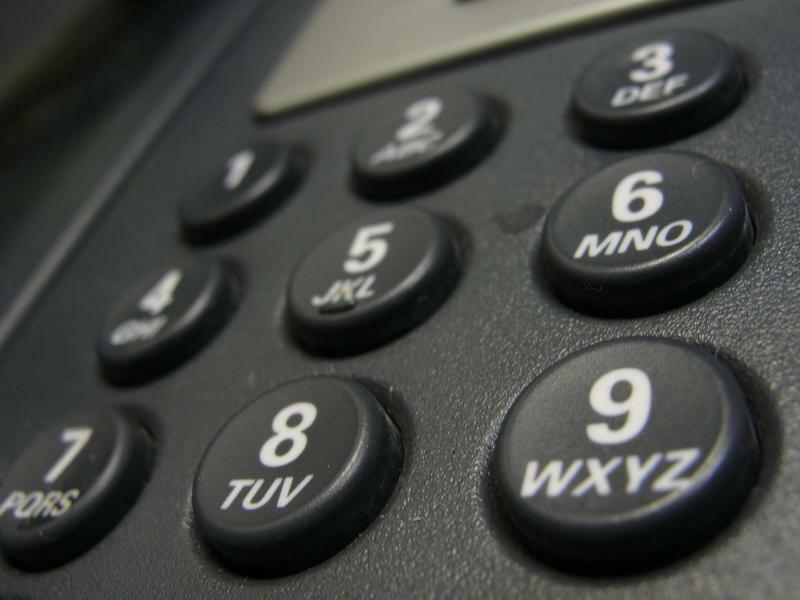 Members listening in via conference call heard an unexpected interlude. 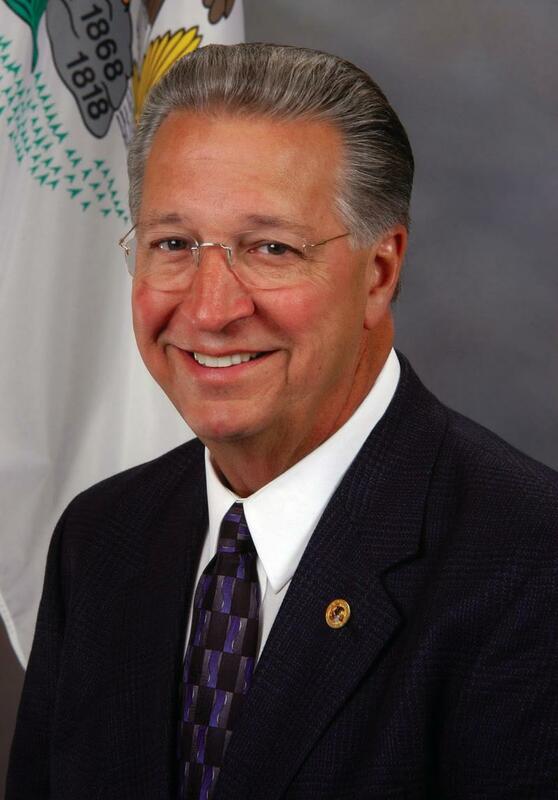 Governor Bruce Rauner has named a longtime Republican state representative -- Raymond Poe of Springfield -- to head the state's agriculture department. 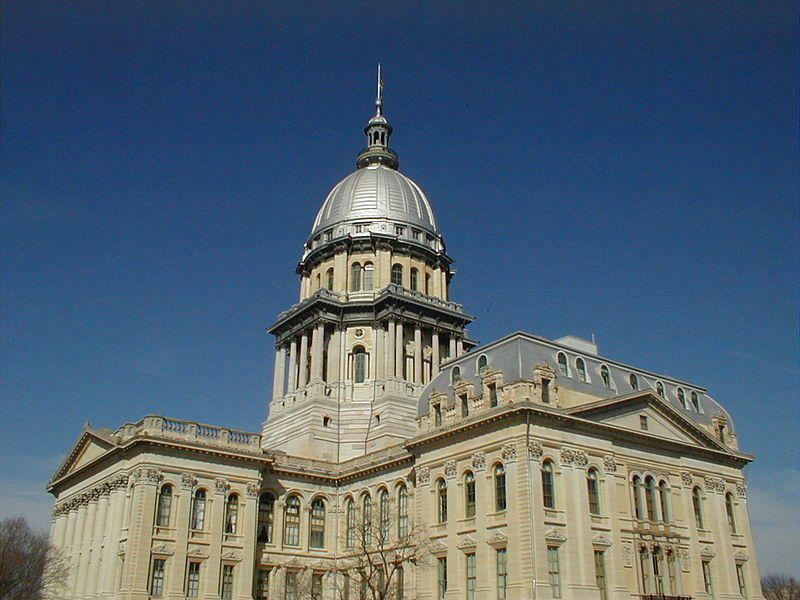 Illinois has gone four and a half months without a budget. It's gone even longer -- five and a half months -- since the governor and leaders of the legislature have all gotten together to talk about it; the last time that happened was at the end of May. They're scheduled to finally come together next week, on Wed., Nov. 18 But the meeting's particulars have themselves become a subject of controversy. A month and a half after the Illinois State Museum shut its doors to visitors, lawmakers Tuesday passed a measure that could lead to its reopening. The Illinois State Museum and its affiliated sites shut their doors to visitors at the end of September. Advocates have mourned the loss of the Springfield-based museum, which also hosts researchers and preserves millions of artifacts, from mastodon skeletons to Native American relics. Progress? Lawmakers, Rauner Compromise ... Kind Of. Five months into operating without a state budget, Illinois Democrats and Republicans came together Tuesday to pass a budget bill. But it was a relatively minor one; a full agreement is sure to be a ways off. Advocates for senior citizens and people with disabilities are assessing how action Friday by the Republican governor affects services they say they depend on. Early this year, Gov. Bruce Rauner unveiled a plan to save money, by making it harder for the elderly and disabled individuals to qualify for government aid. People not deemed needy enough would no longer receive state-provided home care workers, or state-paid nursing home care. What's it like to be in charge of the state budget ... when there is no state budget? That's the topic for this edition of The Players: your look into who's who in Illinois politics and what they're up to. One Year Since Gov. Rauner's Election: Is Illinois Better Off? A year ago Thursday ... then Governor Pat Quinn conceded his race for re-election to Republican Bruce Rauner. 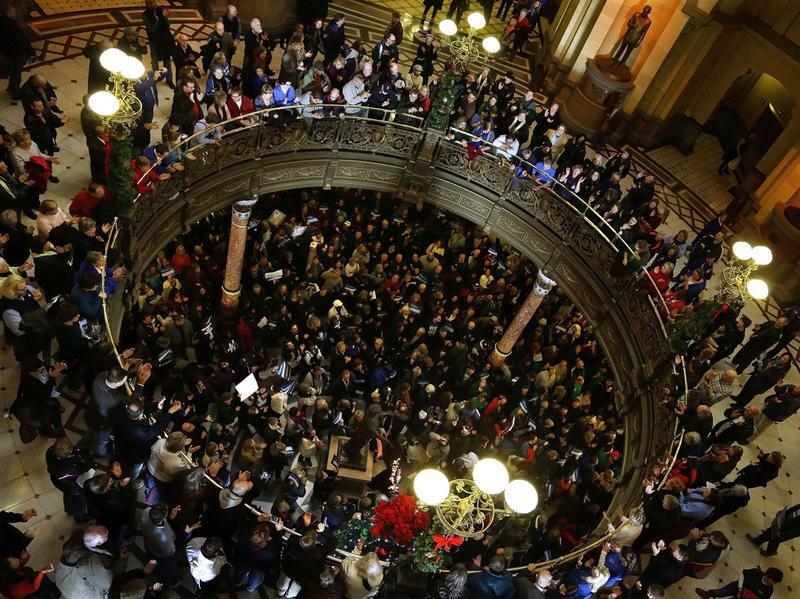 Voters once again sent Democratic legislators back to Springfield with supermajorities. The divided government has led to unprecedented gridlock. Gov. Bruce Rauner has so far focused his attention on business and union issues, and restructuring state government - like workers' compensation, tort reform and legislative term limits. But what about his education agenda? Illinois lawmakers have been unable to come together on a state budget, but they did reach a significant bipartisan agreement Tuesday. 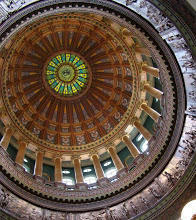 Illinois lawmakers' one-day session Tuesday yielded no budget breakthroughs. 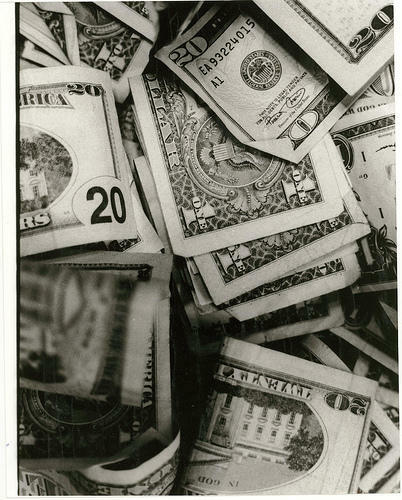 The state's been without a spending plan for what'll soon reach five months. Session's In! But What Are Legislators Going To Do? Members of the Illinois House and Senate will be in Springfield again Tuesday, but there's still no budget deal for them to vote on. 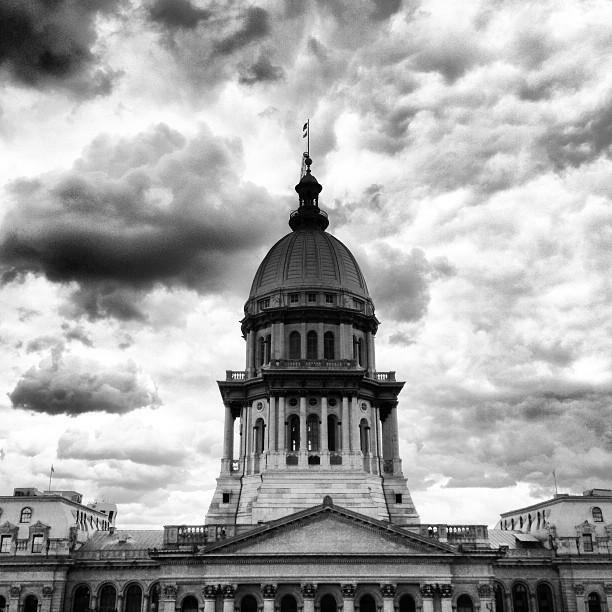 Could A Multi-Year Budget Help Illinois Avoid Fiscal Calamity? It's fast approaching the time that the governor and Illinois lawmakers would typically begin planning for next year's budget, even though they've yet to settle on one for this year. 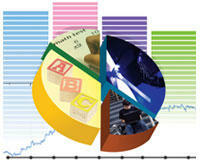 Two-year budgets are standard practice for some states.